A record-breaking edition of the Livigno Skymarathon: a prestigious event for its host town of Livigno, the 2018 staging has already left an indelible mark on everyone who participated. Laura Orguè andPetter Engdahl (both Team Salomon) stamped their authority on this testing round of the Migu Run Skyrunner® World Series. While this year’s route varies slightly from previous editions, it still measures a relentless 33.5 km with 2,750 metres of climbing. The Catalan uphill specialist Orguè delivered a fine performance to shatter the dreams of her younger Catalonian rival Sheila Aviles Castano (Team Buff), taking second ahead of Elisa Desco (Team Scarpa/Berg Outdoor), who ran a strong second half of the race to move herself up to finish third in the women’s field. The hotly contested men’s race was led from start to finish by 24-year-old Petter Engdahl from Åre, Sweden, who assertively took the win at this ‘Classic’ Skyrunner World Series event. Switzerland’s Pascal Egli (Team Dynafit) did all he could to counter the dominance of the young Swedish cross-country skier but had to settle for second–one position better than his bronze two years ago. One of the day’s biggest surprises came in the form of a stellar third-placedfinish by David Sinclair from the USA. The day got off to an optimistic start with clear skies and fresh temperatures when the gun went at 8.30am. The 300-strong field was packed with no fewer than 170 international athletes, representing 30 different nations. By the time the athletes had reached the first summit at Mot, Sweden’s Engdahl was already demonstrating his class on the steep climb, which has a gradient that barely drops below 30% for its entirety. Currently in Livigno on a training camp with the Swedish cross-country ski squad, Team Salomon’s Engdahl seized the opportunity today to test his limits right until the finish line. Japan’s Ruy Ueda and USA’s David Sinclair chased Engdahl over the first climb, with Christian Minoggio from Italy, Oscar Casal Mir from Andorra and Switzerland’s Pascal Egli in hot pursuit. Many of the day’s favourites unfortunately didn’t see their races play out as they’d hoped for, with notable gaps appearing for Andre Jonsson, Pere Aurell, Kiril Nikolov, and Zaid Ait Malek. However, these sub-par performances left space for the outsiders and the ridge of Cassana – arguably the most technical part of the course at 3,000 metres of altitude – set the stage for the American Sinclair to regain contact with the Swede, seeing them set a blistering pace until the climb of Carosello 3000. Ruy Ueda began to pay the price on the climb, while Egli’s performance continued to improve after an uncomfortable first half. Engdahl put his foot on the gas on the snowy crossing up to the day’s final summit of Madonòn (2,858 msl), seeing Sinclair fall behind by several minutes and eventually concede his second place to Egli. The young Swede crossed the line in a winning time of 3h33’26”. An ecstatic Pascal Egli was 4’36” behind to finish in second, while David Sinclair was visibly moved by his unexpected third place, 5’51” down on Engdahl. 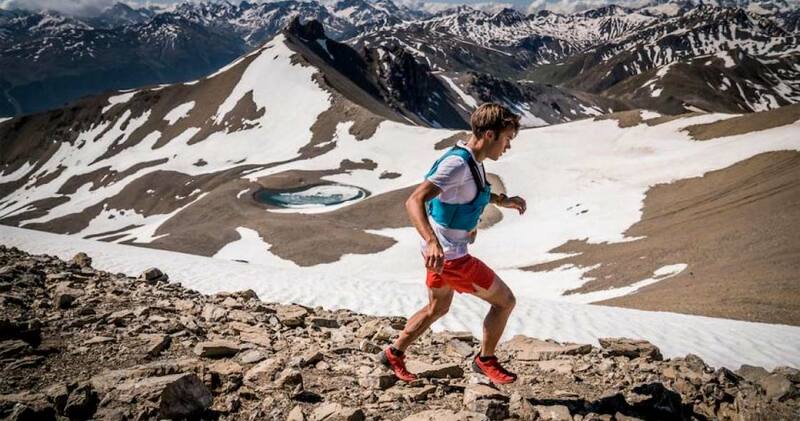 Fourth went to the recent winner of the Yading Skyrun Marc Casal Mir ahead of an impressive Christian Minoggio (Valetudo-Serim), finishing as the first Italian. Laura Orguè’s efforts reflected those of teammate Engdahl with a strong race from the gun, usurping the predicted favourite, World Trail Running Champion Ragna Debats (Team Merrel). In the wake of Orguè, the young Sheila Aviles Castano led ahead of the Basque runner Ohiana Azkorbebeitia and Sweden’s Lina El Kott. Running on her home turf, Bormio-based Elisa Desco (Team Scarpa/Berg Outdoor) took a more conservative approach to the race, having won here two years ago. The fight for first was never going to surrendered easily, and Orguè’swin wasn’t confirmed until the final descent, seeing her finish in 4h10’11’’, just 35 seconds clear of Aviles Castano. The expectant crowds showed raucous support for Elisa Desco, who worked her way masterfully through the field to slip into third place on the final downhill ahead of the young Swede Lina El Kott. Desco clocked 4h19’45”, showing a determined effort to return to top-level Skyrunning after the recent birth of her second child. Fifth went to Holly Page from the UK, who was in her element on the technical sections but admitted to struggling on the more runnable sections. Alongside the 280 finishers of the main race, this Livigno one-day festival of skyrunning also hosted the K17, welcoming another 150 athletes to partake in a technical 17-kilometre skyrace, which followed the early part of the Skymarathon before dropping down through the wild territory of Val Saliént. Victory went to local athletes, although both are international runners, with 20-year-old Andrea Prandi (Team Dynafit) finishing in 1h38’40” and Elisa Compagnoni(Atletica Alta Valtellina) claiming the women’s win in 1h53’30”.